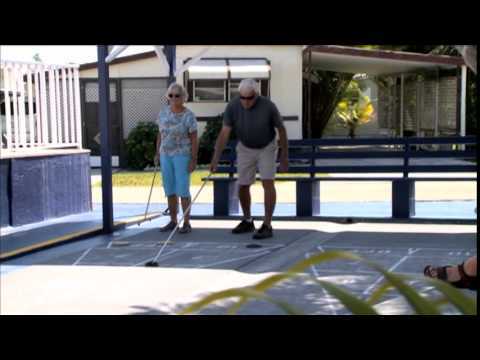 Iona Ranch is an active 55 and over community. Come relax, take a bike ride through our park, and enjoy its lovely, natural, southwest Florida surroundings. The Iona Ranch invites you to have fun. We offer all the comforts of home including a large heated swimming pool, shuffleboard courts, cable TV, telephone, and much much more. Enjoy the veranda, or a game of bingo inside our beautiful 3,300 square foot air conditioned clubhouse. You can surf the web with our free internet which is available poolside and in our clubhouse. Our community comes together frequently for many activities such as pot luck dinners, coffee clubs, holiday meals, and other park sponsored events. Also, the park regularly schedules outings like dinner theater and cruises. Just five minutes south from us is a powder white, breathtaking beach world renowned for its treasure of the shells. Sanibel Island is truly a fine tropical resort, with some of the finest restaurants and shopping in Florida. The Iona Ranch is conveniently nestled just far enough from the noise and traffic of the island. Our location is ideal. Just minutes away are great fishing, outstanding golf courses, tennis facilities, hospitals, and everything else you could possibly need. Bask in the tropical breezes. Visit us in this tropical paradise. Enjoy all of our resort amenities or find fun and adventure just minutes away in fantastic Ft. Myers. Enjoy the nearby white sand and turquoise waters of Ft. Myers Beach and the islands of Sanibel and Captiva. Take a chartered boat tour while you watch the world go by. Your vacation is whatever you make of it when you visit Groves RV Resort. Siesta Bay is where the young at heart come to play. Indulge in resort-style living with all of the excitement and adventure of Ft. Myers Beach. Invigorate your mind and body at this vibrant and energetic resort. Good friends and great times are just around every corner. We’re minutes from the white, sandy beaches of Sanibel and Captiva Islands on the Gulf of Mexico, for the ultimate vacation. Stay in a tropical vacation paradise. 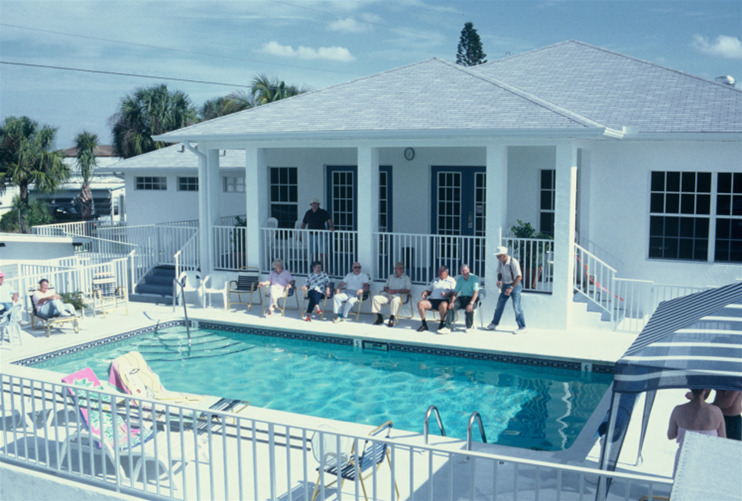 You'll enjoy our active and friendly community at Ft. Myers Beach RV Resort. Choose from a myriad of social activities. Florida’s Gulf Coast is full of exciting places to visit with a full array of shopping, dining, cultural and recreational opportunities. Only 2 miles to Bunche Beach, 3 miles to Ft. Myers Beach and 5 miles to Sanibel Island! This resort provides the relaxation and carefree Florida lifestyle that you've always dreamed about. Indian Creek is meticulously maintained and offers an impressive amenity package with picturesque views from the 21 lakes featured on our beautifully landscaped grounds. We're located only a short bicycle ride to Fort Myers Beach with shopping and dining right next door. Gulf Air offers hours of endless fun with countless activities and events, a spectacular clubhouse, heated swimming pool, picnic area, recreation center, horseshoes, shuffleboard and so much more! A trolley to Ft. Myers Beach (2 miles away) stops at the resort entrance. Grocery store and watersport/boat rentals nearby! Your home away from home. Rentals available by reservation. Campsites are directly on the water’s edge. Fish from your site or just sit and watch the birds, dolphin and manatee. Enjoy our heated pool/spa, Wi-Fi and boat ramp and kayak rentals. Close to beaches, dining, golf and shopping. 78 floating docks and 4000' of waterfront. One rental is poolside, 24' x 44', fully furnished and has central a/c and heat. 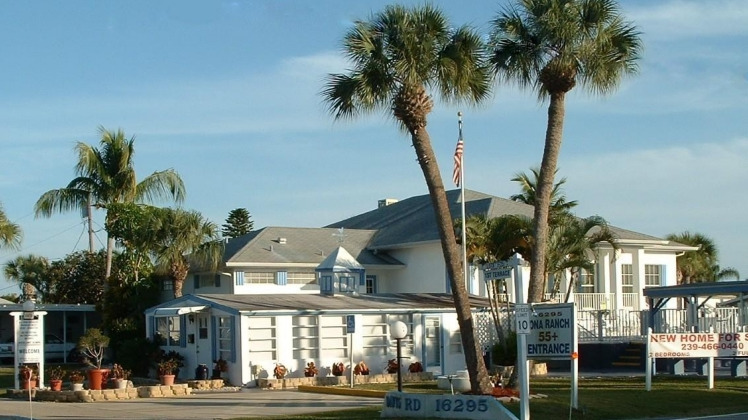 A senior adult RV park located on Hurricane Bay with 22 boat docks with Gulf and bay access. Many of our guests walk to the beach everyday, about 1 mile. We offer showers, bathrooms, a heated pool, shuffleboard, clubhouse and potluck dinners. Just a nice hometown RV park in beautiful S.W. Florida. An older, senior adult RV park that is close to the beach that many of our guests walk to daily. We are within walking distance to the Key West Ferry Boat for fast, daily 3.5 hour trips to Key West. This full-service, family resort is located on beautiful Estero Island, directly on the beach. Amenities include full hookups, cable TV, shuffleboard courts, laundry facilities, bathhouse, picnic tables and paved pads. Walking or biking distance from shopping, restaurants and marinas. Beach house and mobile home rentals available. The sport fisherman’s paradise. Located in a tropical setting of exotic wildlife, mangroves and unparalleled fishing. Enjoy the natural choice. Seasonal bus to the beach and other area attractions. Free cable TV. Enjoy the clubhouse, exercise room, pool, spa, tennis, golf, nature tours, island cruises and fishing charters. Park models and cabins available.